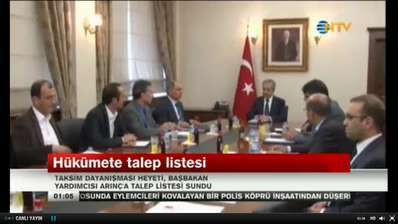 On 5th of June, Vice Prime Minister Bülent Arınç met with Taksim Dayanışması, a solidarity group that advocated for the preservation of Taksim Gezi Park. 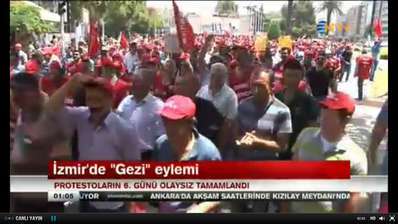 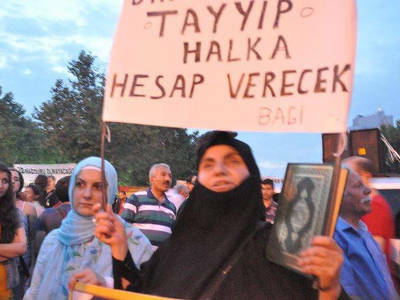 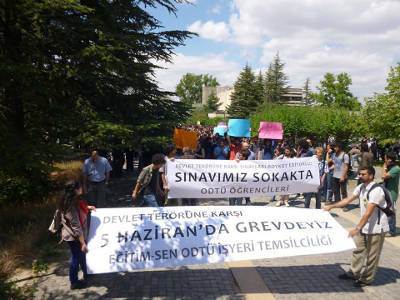 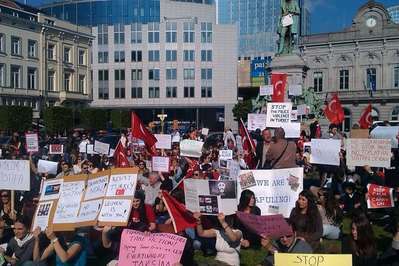 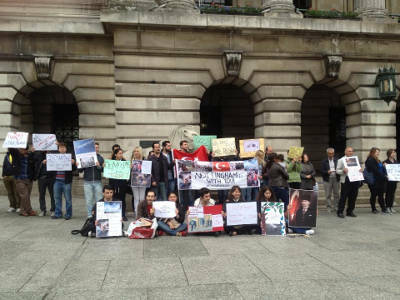 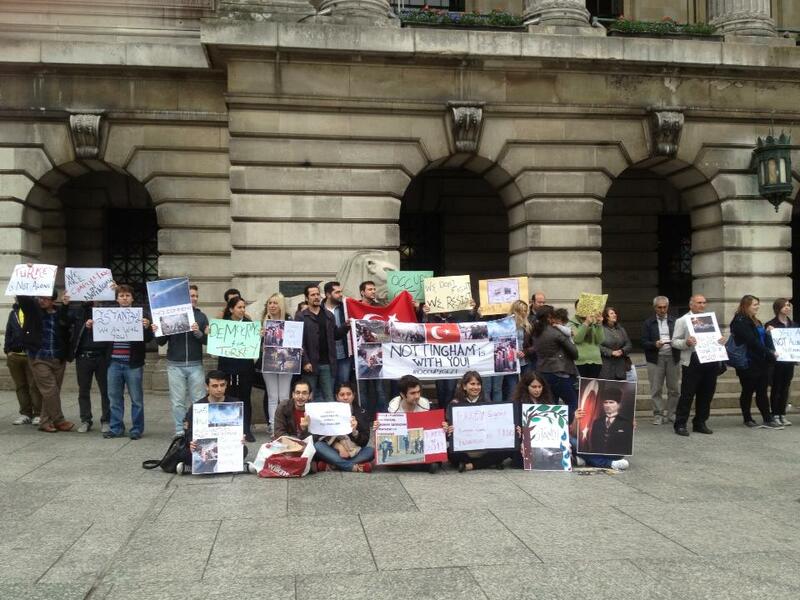 Taksim Dayanışması presented the demands of the Taksim Gezi Protest. Bülent Arınç stated that the judicial procedure of the construction is still in progress. 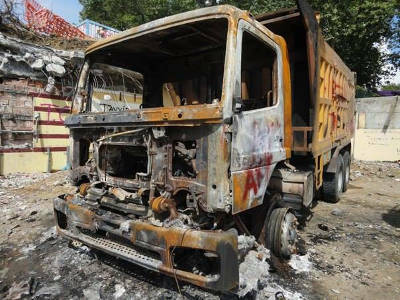 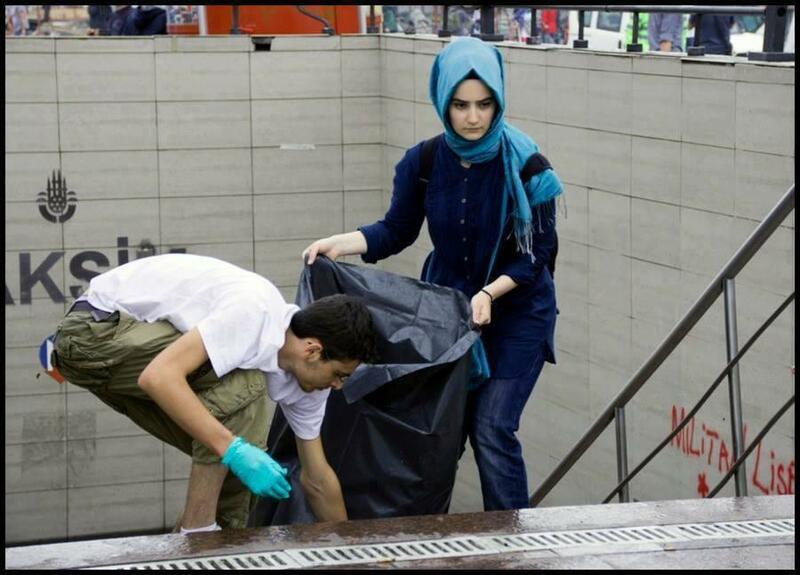 TTB (Turkish Union of Doctors) presented that from the beginning of the protests there were 2 dead and 4,177 injured people. 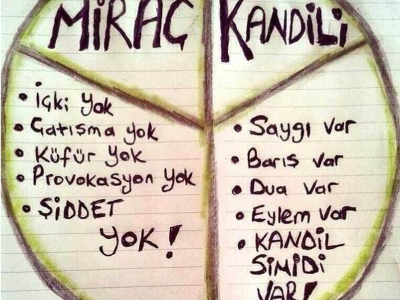 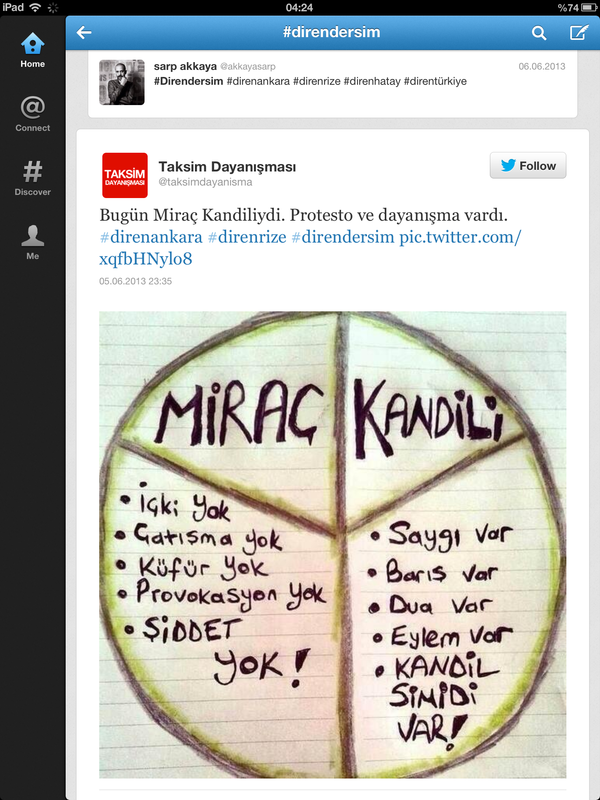 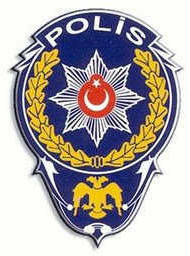 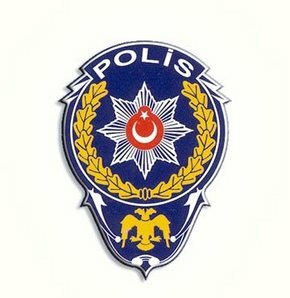 In İzmir, police arrested 38 people due to their Twitter shares. 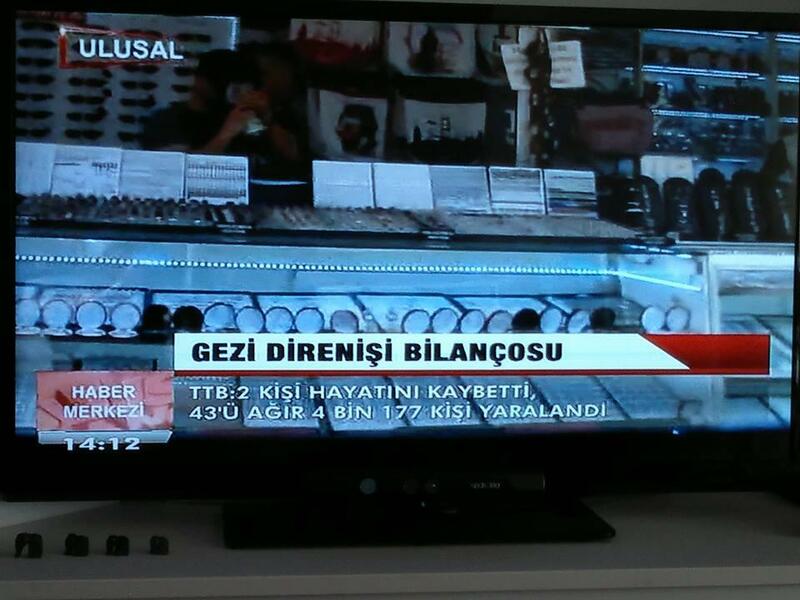 AKP parliamenter İdris Bal stated that people attending the strike shot themselves in the food. 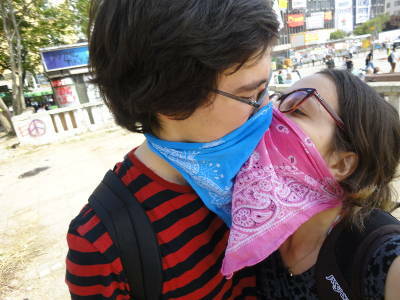 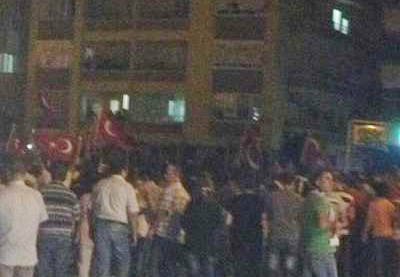 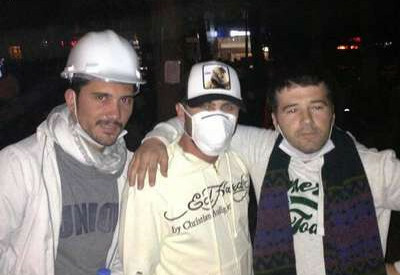 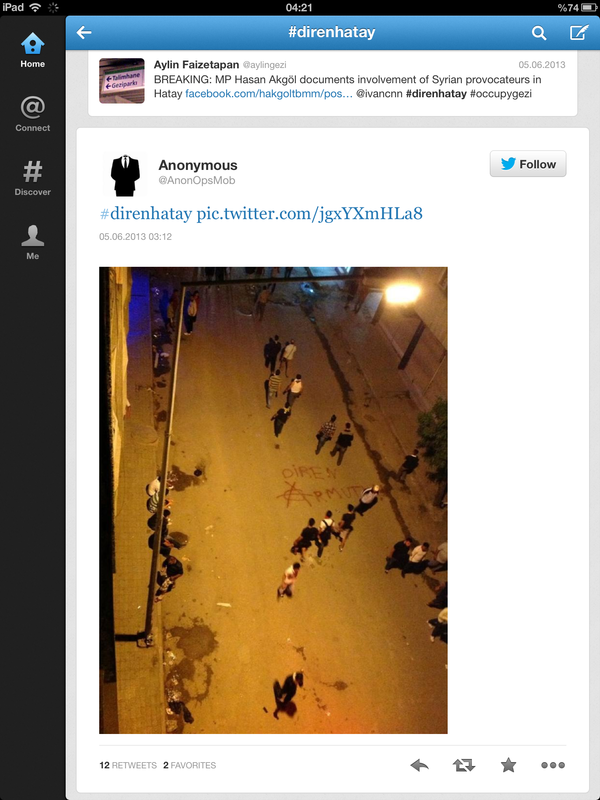 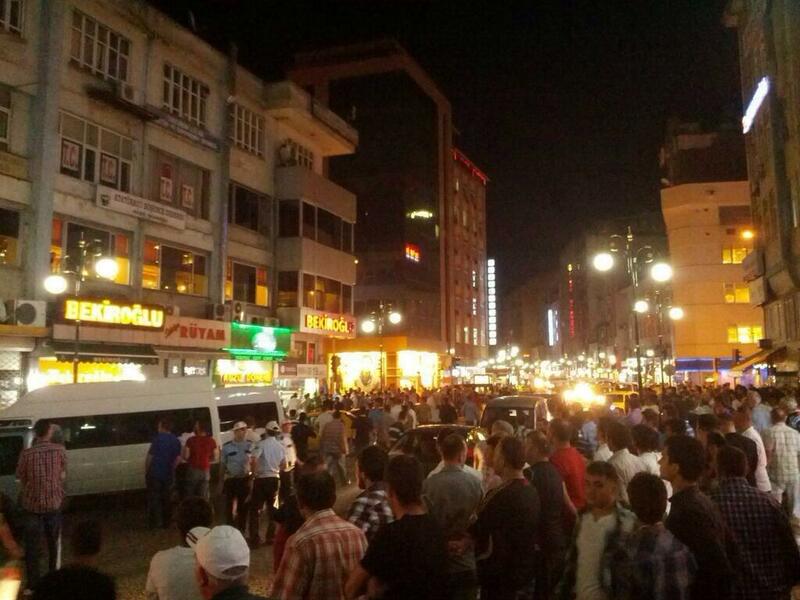 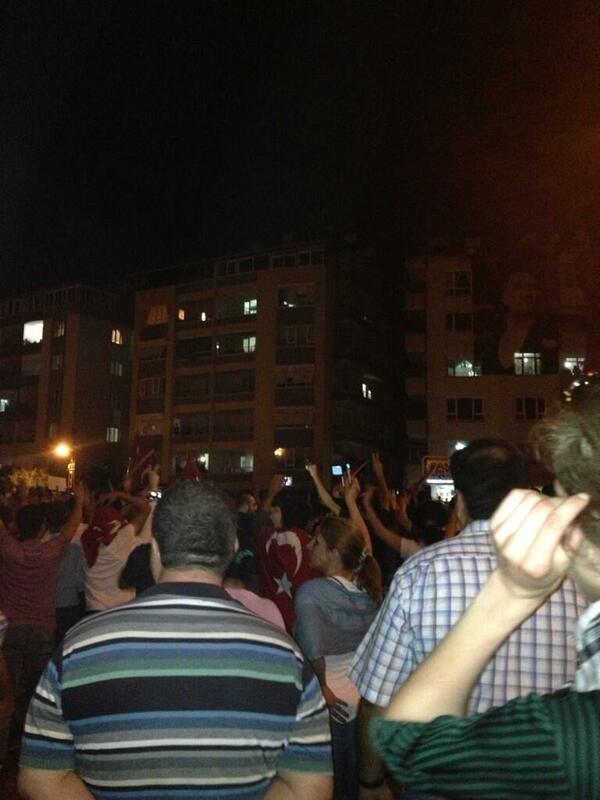 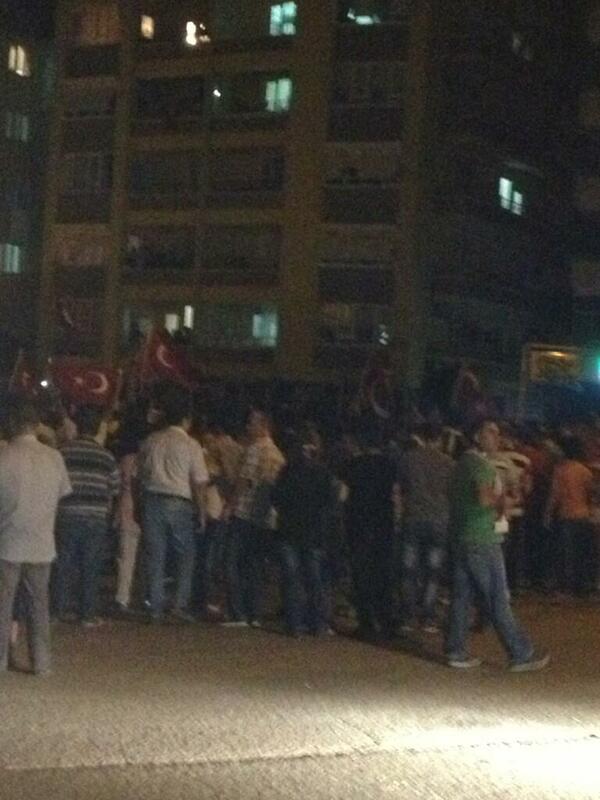 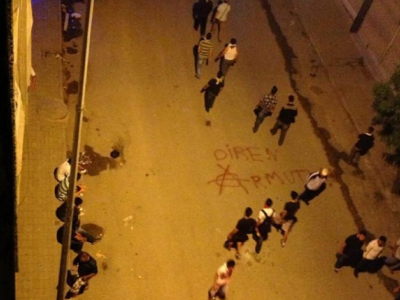 In Rize, a group of AKP supporters wanted to attack the Gezi protesters. Crowd was hardly appeased. 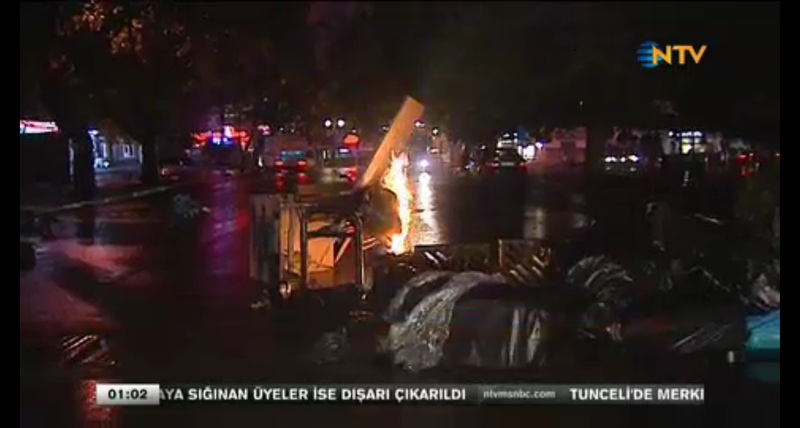 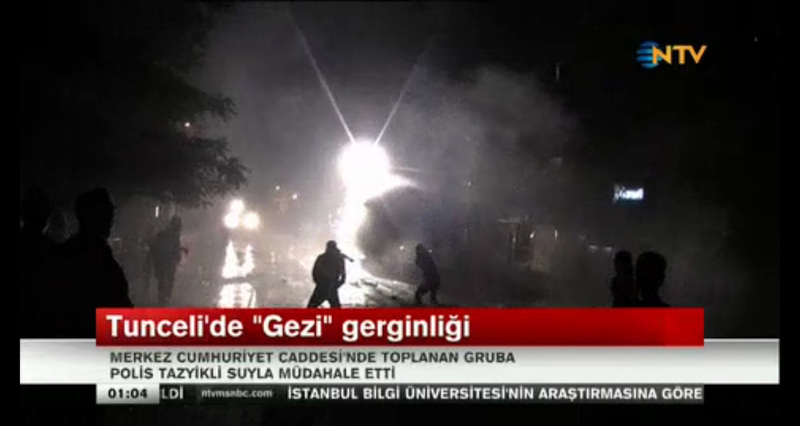 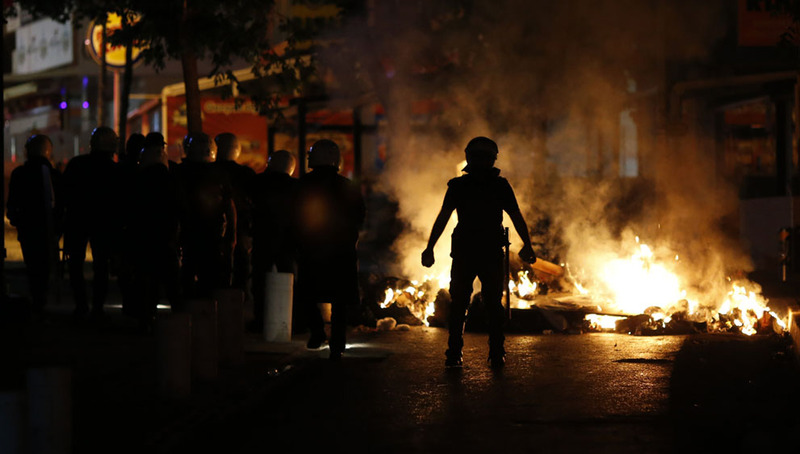 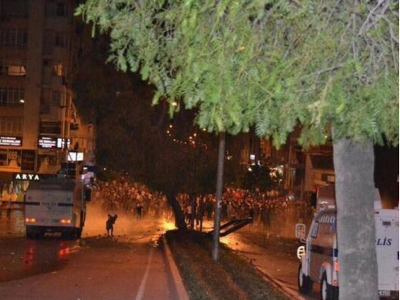 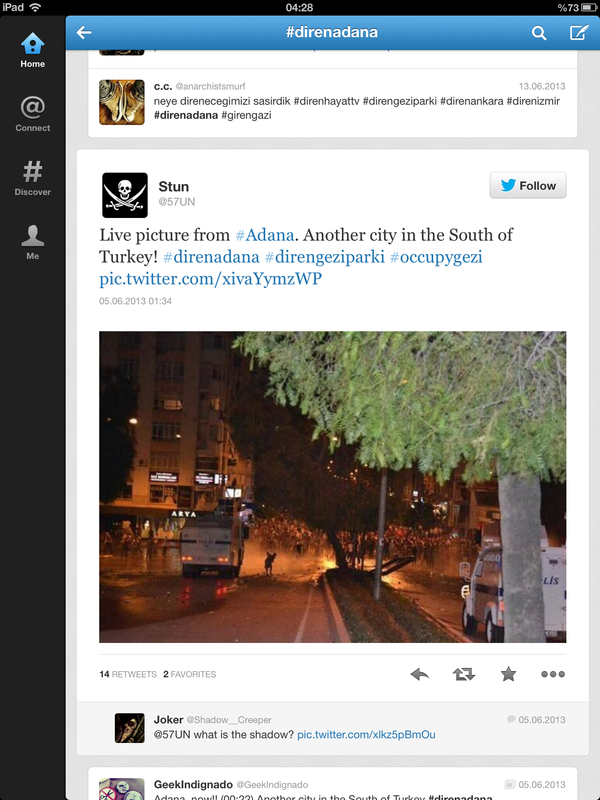 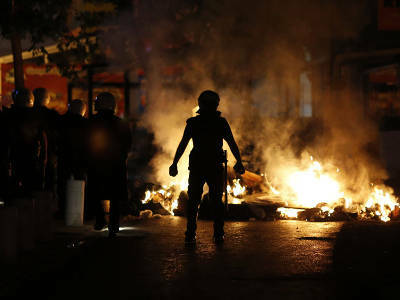 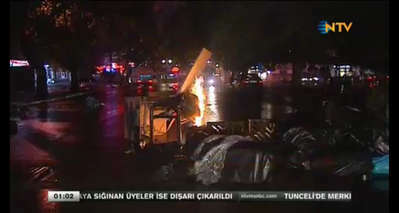 In Kızılay, Ankara, clashes are still going on. 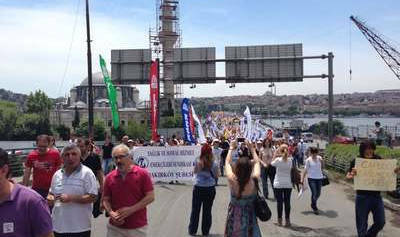 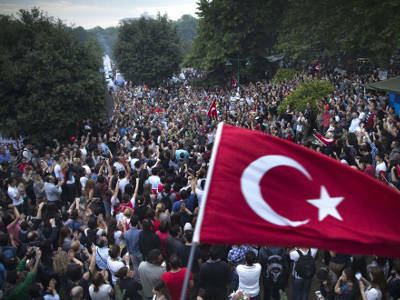 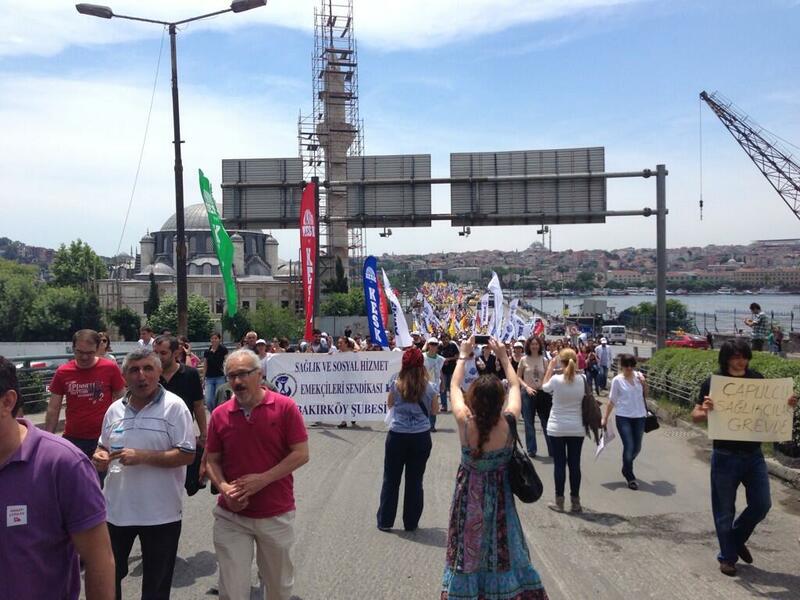 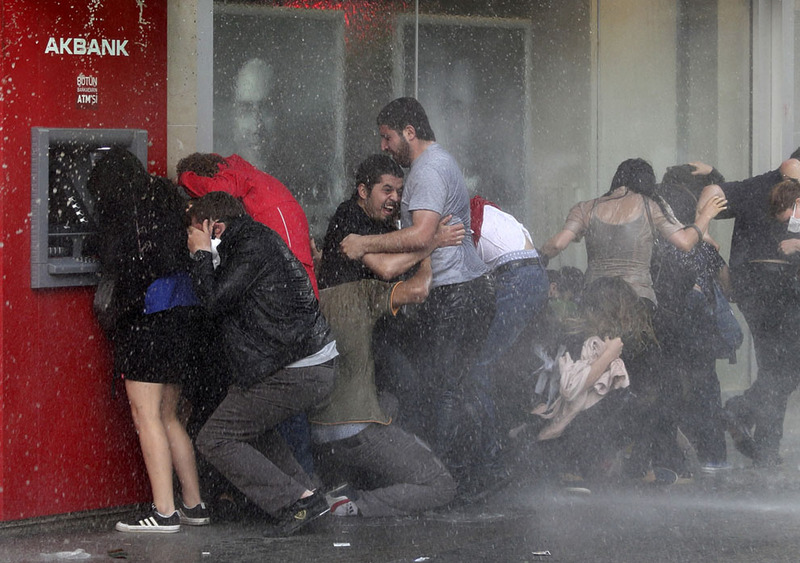 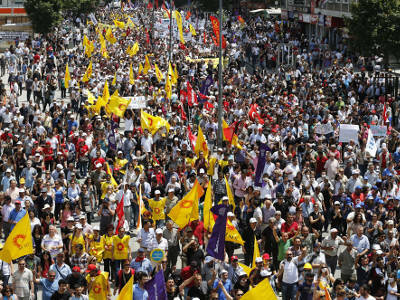 İstanbul, Taksim was crowded with protesters and peaceful. 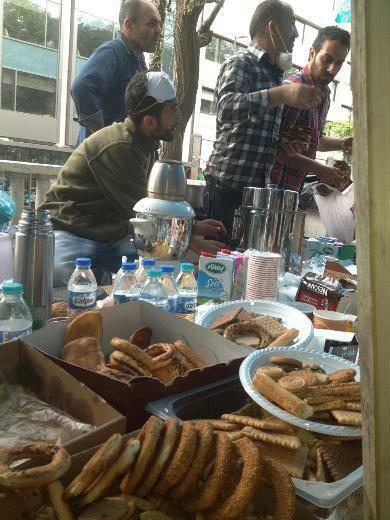 Protesters are celebrating one of the five Islamic holy nights with bagels in Taksim, İstanbul. 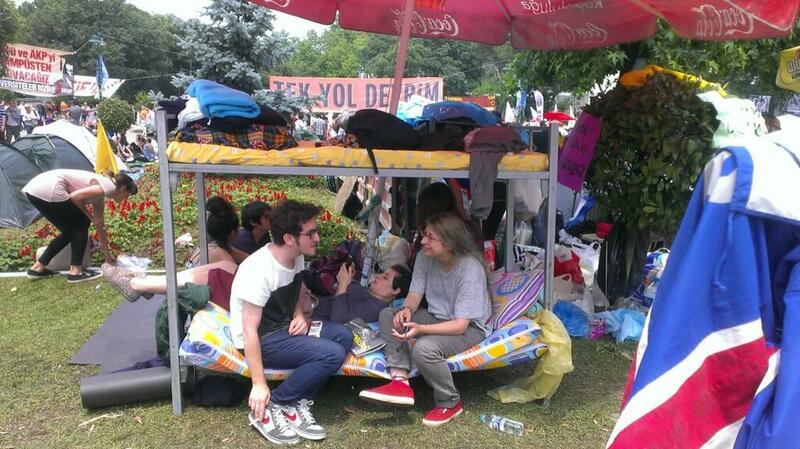 Gezi Parkı must stay as a park. 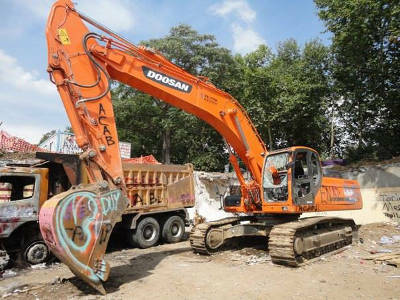 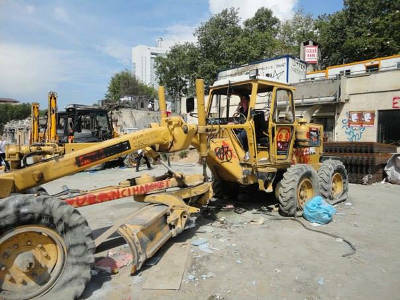 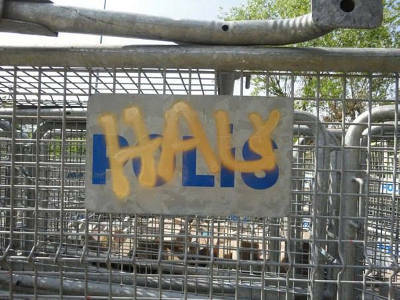 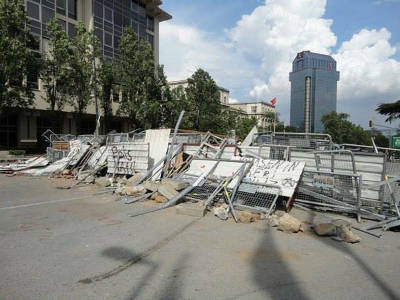 An official statement must be made which will ensure that no construction efforts, either Topçu Barracks or another name will be pursued in the park. 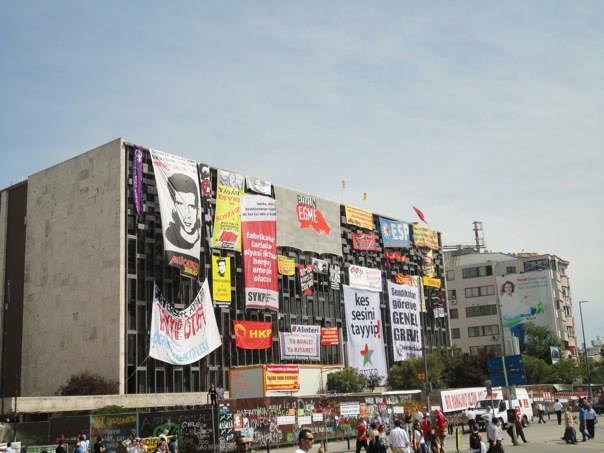 Efforts on the demolition of Atatürk Culture Center (AKM) must be stopped. 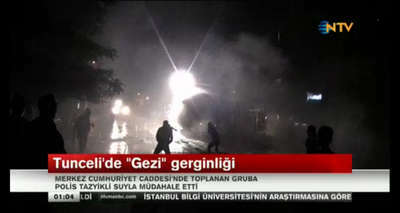 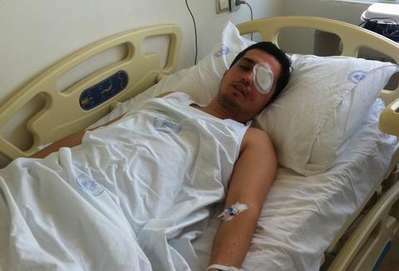 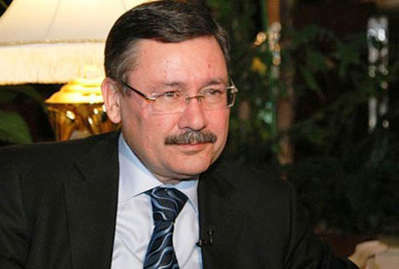 All officials - including governor and police commissioners of Istanbul, Ankara and Hatay provinces - who prevented people from using their democratic rights and caused hundreds of injuries and two deaths, who gave oppression orders, who executed these orders, who caused several injuries must resign immediately. 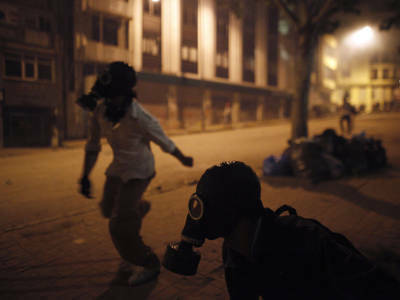 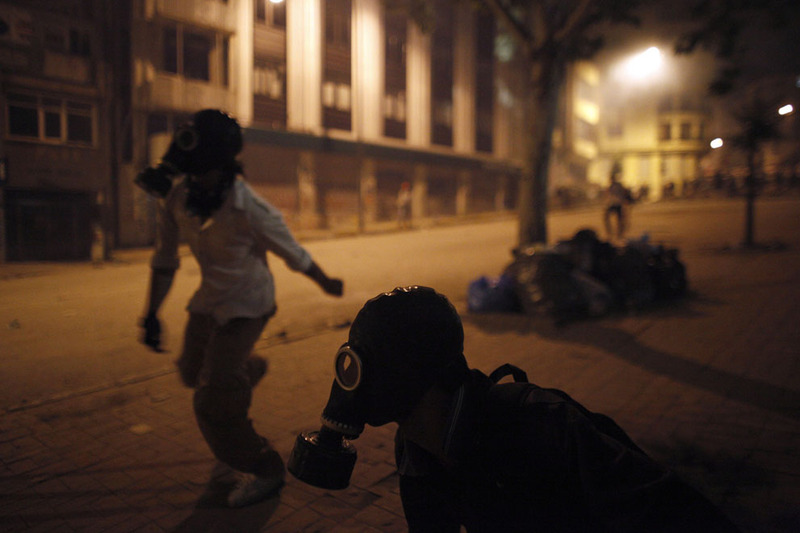 The usage of gas bombs and related materials must be banned. 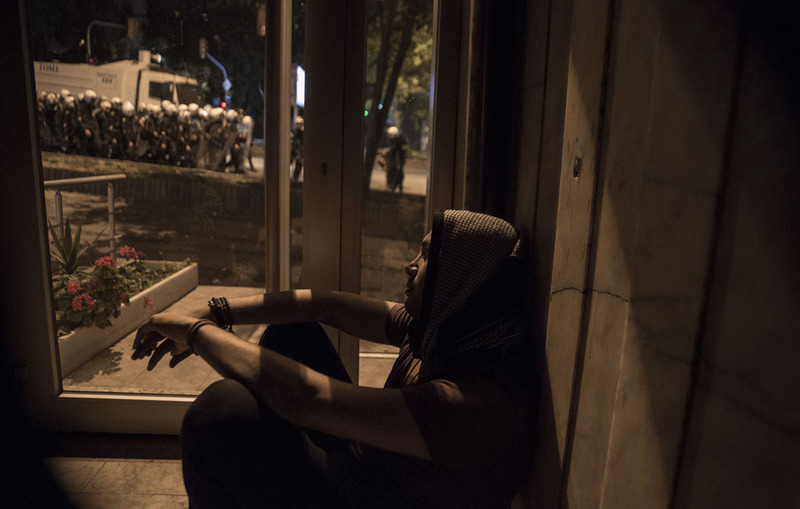 All those who were detained across Turkey during protests must be released immediately and an official statement must be made to ensure that they will not face any prosecution. 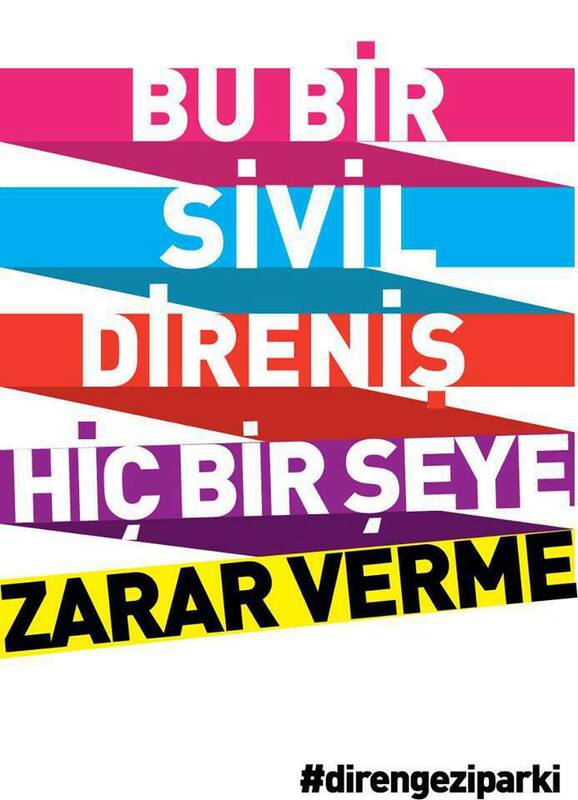 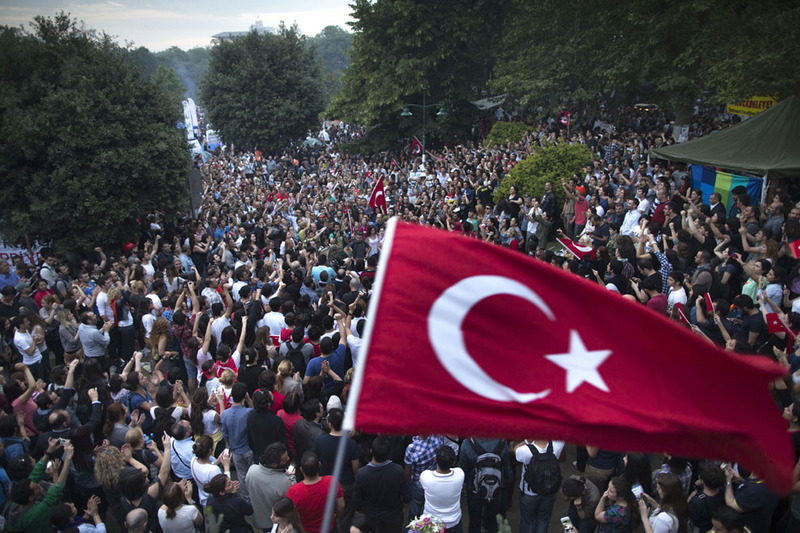 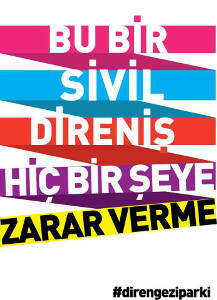 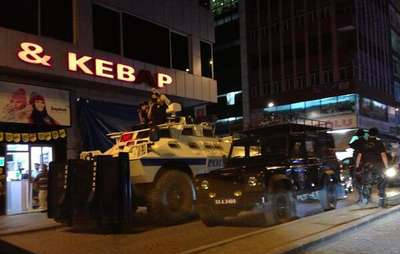 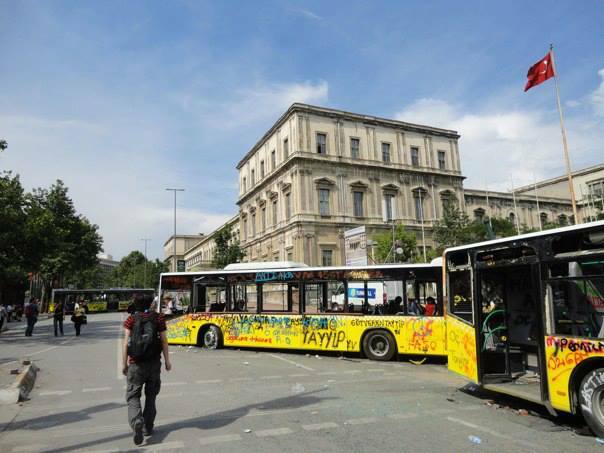 All public demonstration bans especially in Taksim and Kızılay Square but also throughout Turkey must end. All obstacles against freedom of expression must be removed. 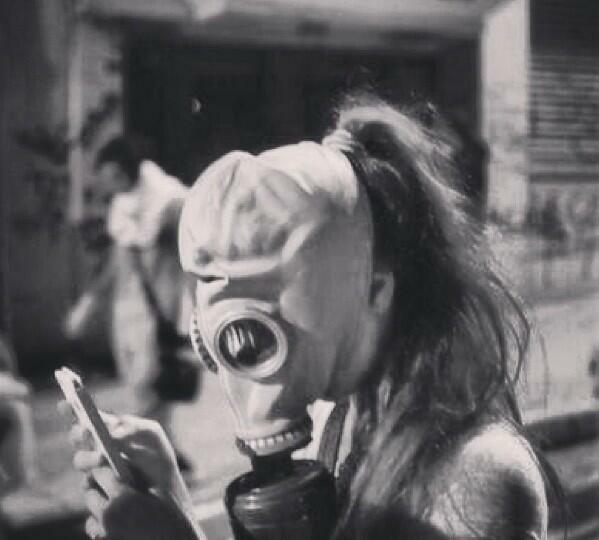 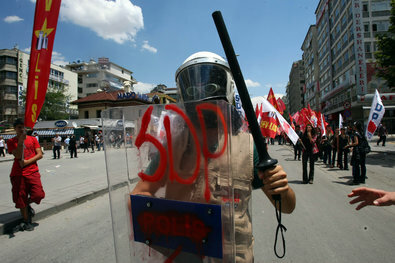 A woman protester in mask using her cell phone in Taksim, İstanbul. 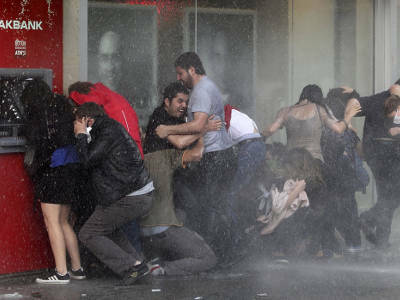 TBB (Turkish Doctors Union) states that two people had lost its life and 4,177 people are injured of which 43 are severe. 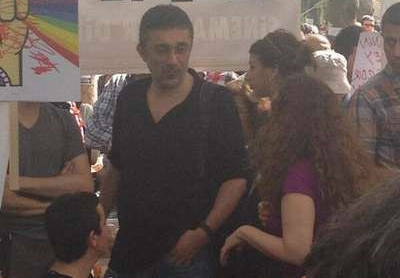 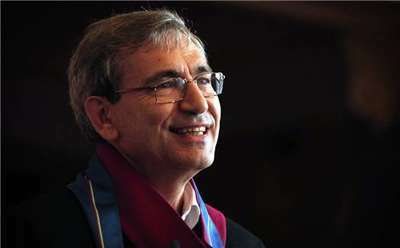 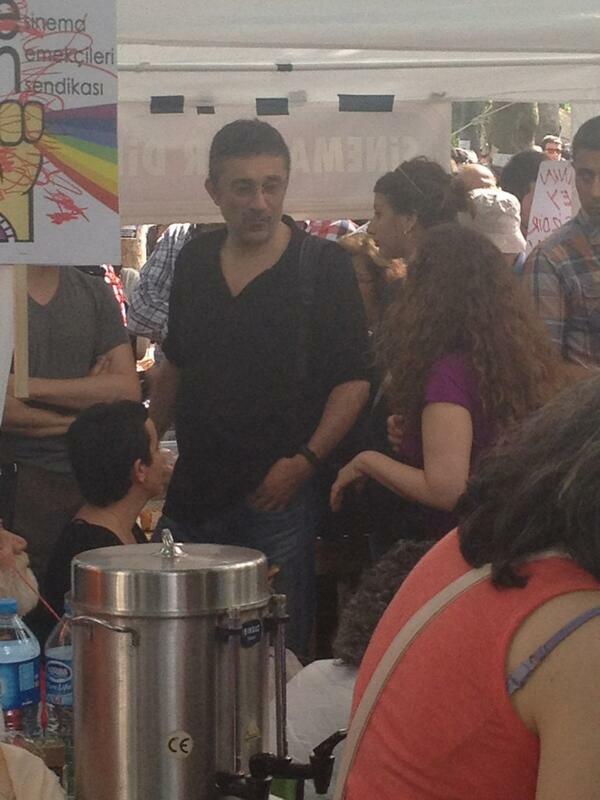 Photographer, screenwriter, actor and film director Nuri Bilge Ceylan in Taksim, İstanbul. 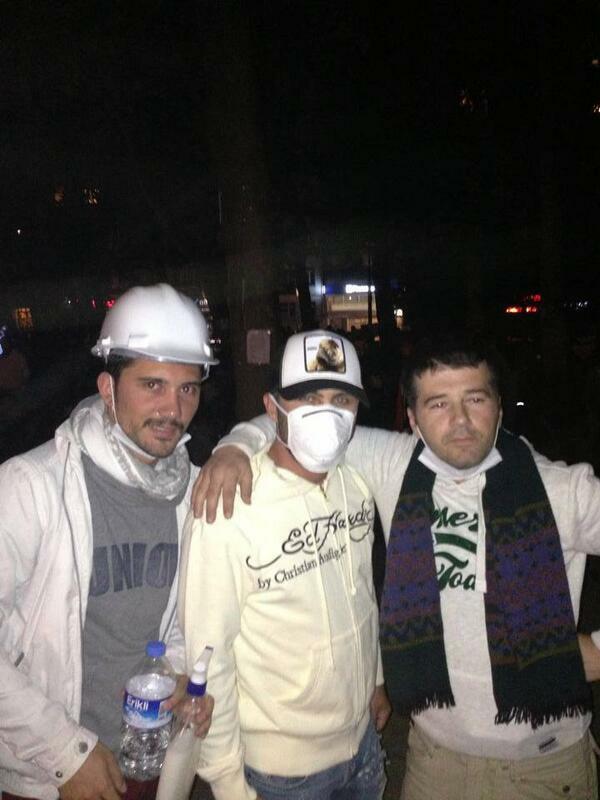 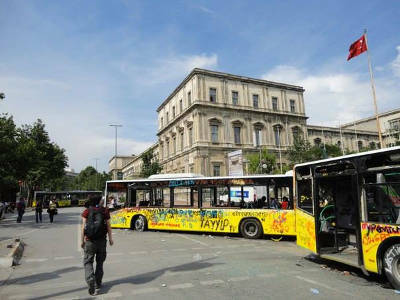 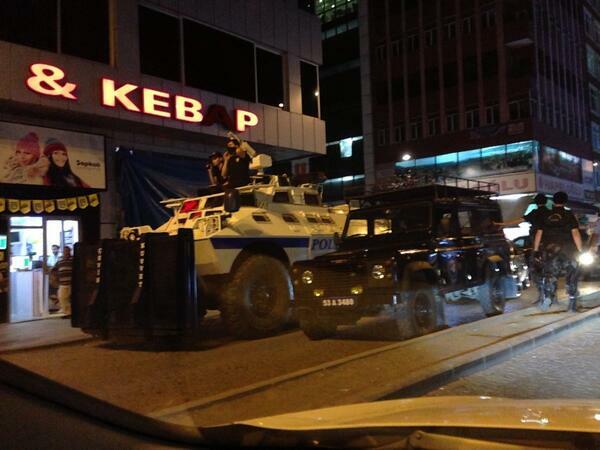 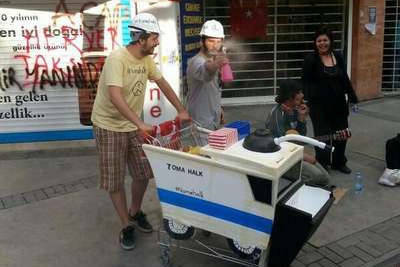 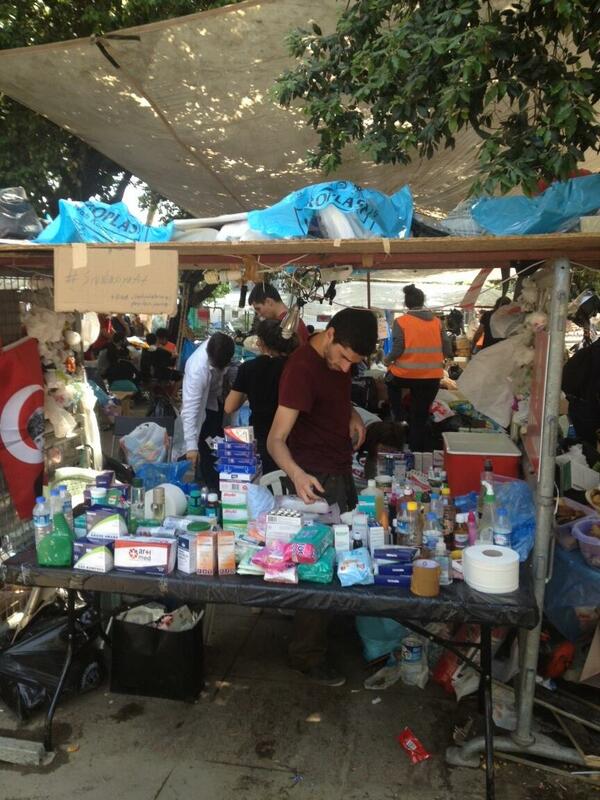 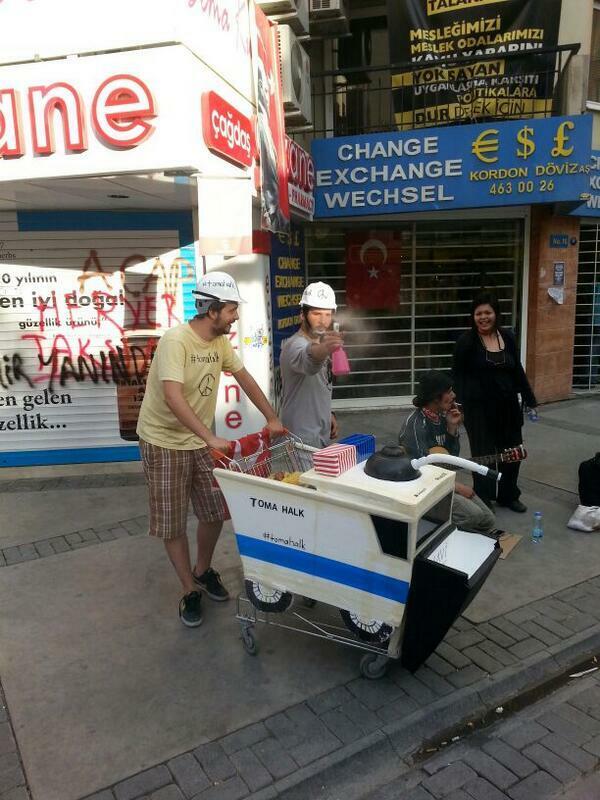 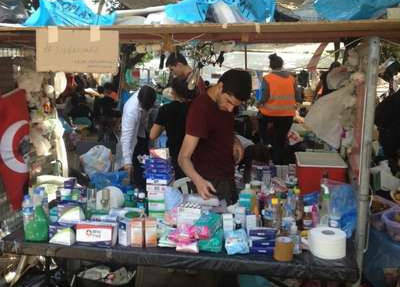 Mobile infirmaries built by protesters in Taksim, İstanbul. 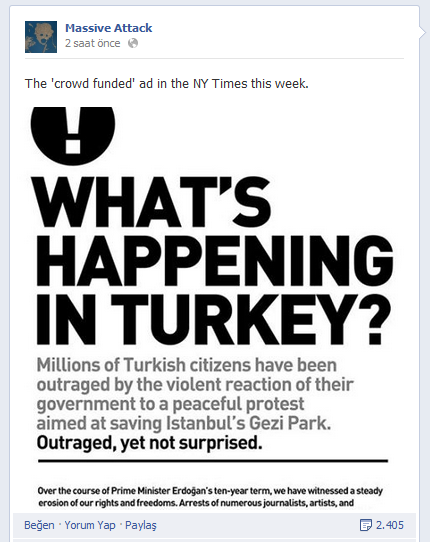 "Tayyip will have to account to the public. 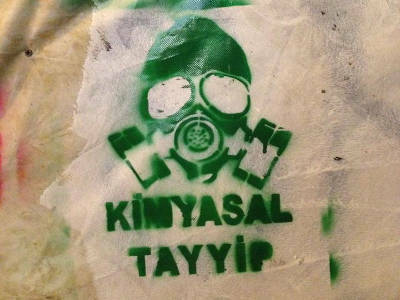 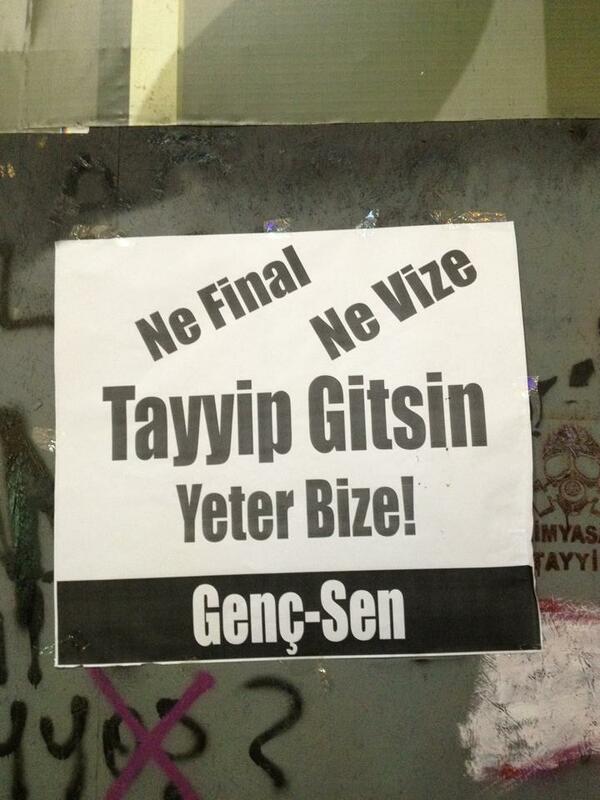 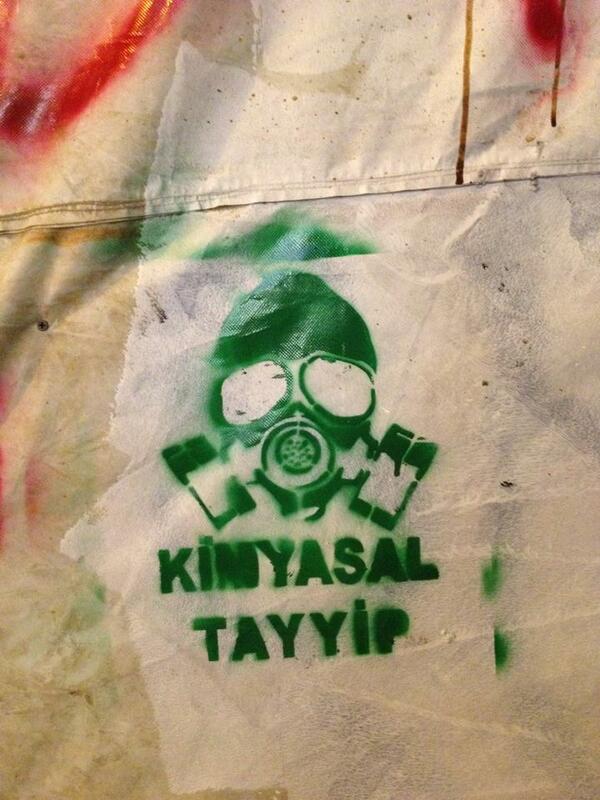 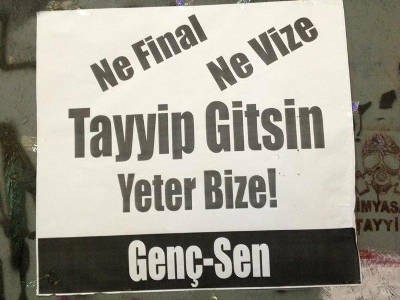 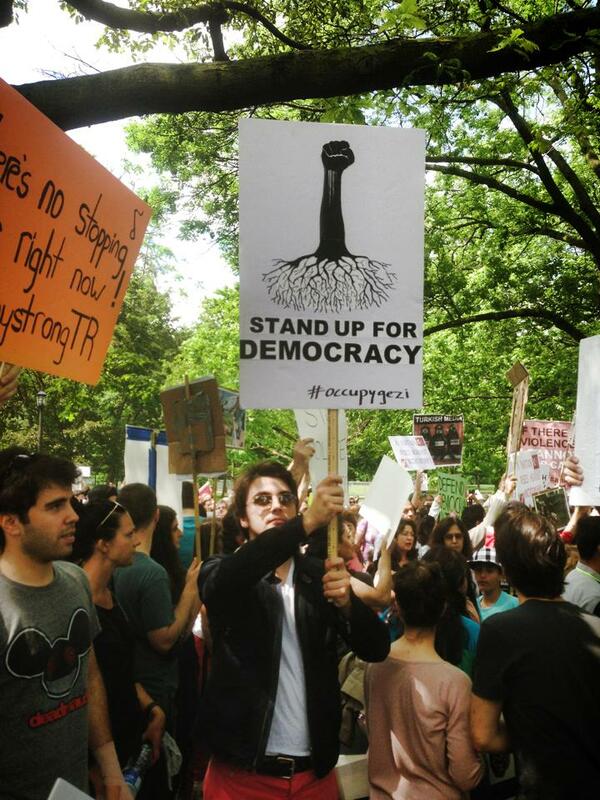 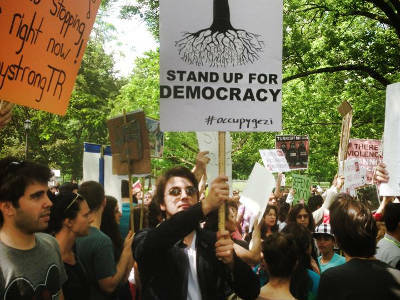 (Olga Must Draw)"
"Not finals, not midterms, but the fall of Tayyip is what we need." 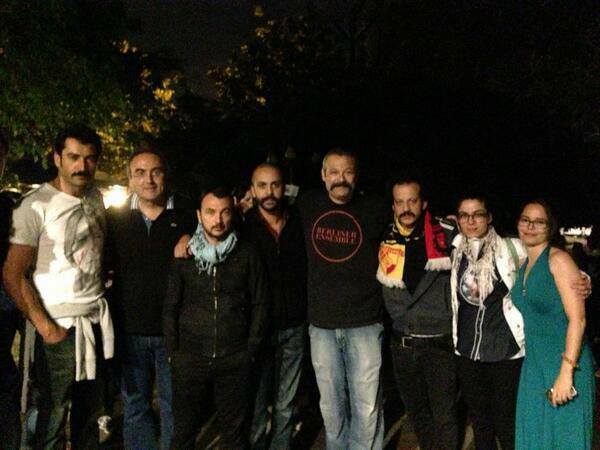 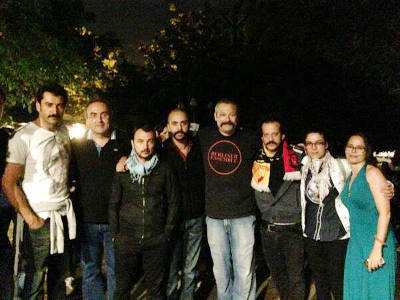 A group of artists supporting the protests in Taksim, İstanbul. 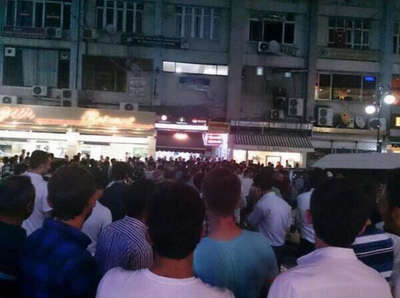 Soccer player Sabri Sarıoğlu from Galatasaray in Taksim, İstanbul. 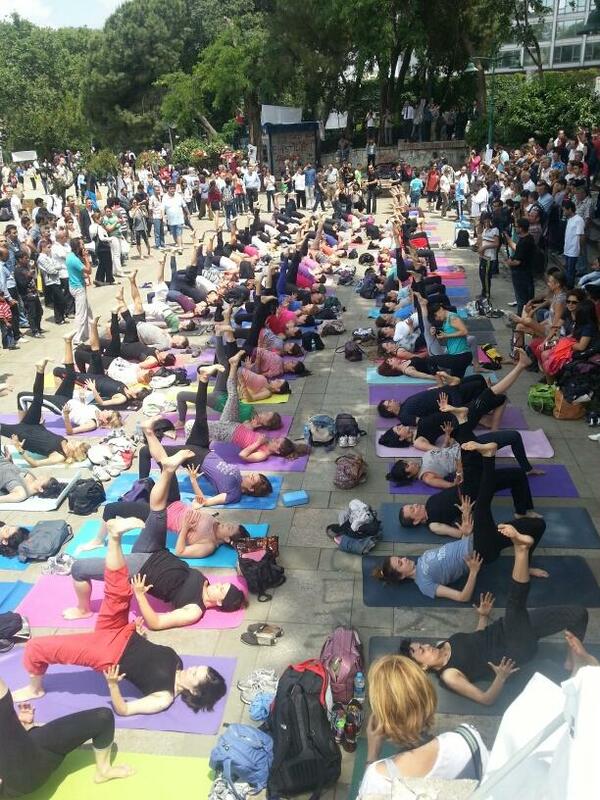 People are praying in Taksim, İstanbul. 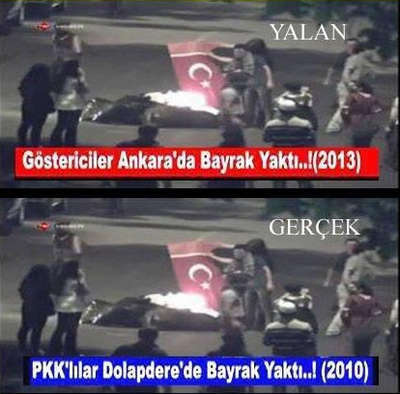 Offical goverment TV channel TRT (Turkish Radio & Television) had broadcasted a video claiming that the protesters are burning Turkish flag. Later, it is found out that the video belongs to a terrorist activity by PKK three years ago. 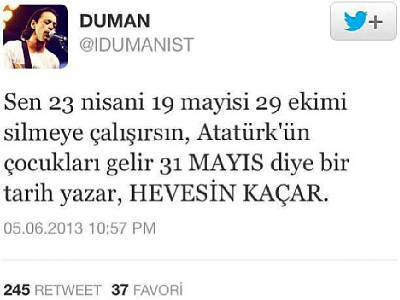 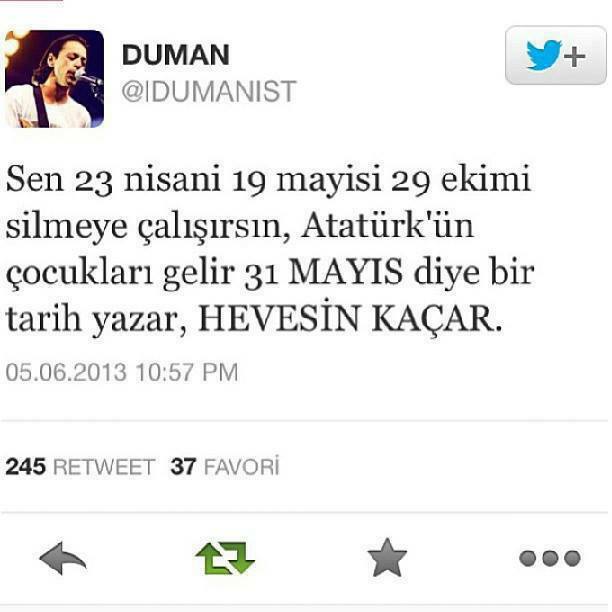 Rock band Duman critising the government. 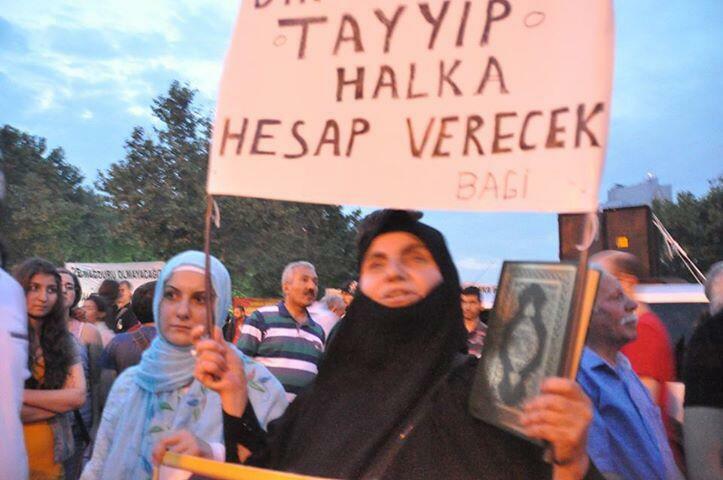 A call for Lailat al Mi'raj from protesters. 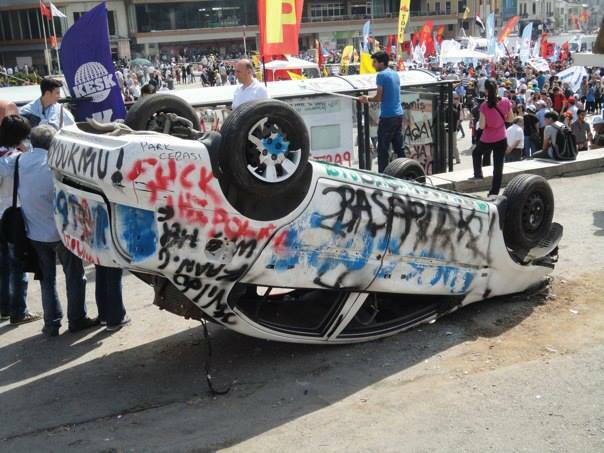 "This is a civil resistance, do not damage anything." 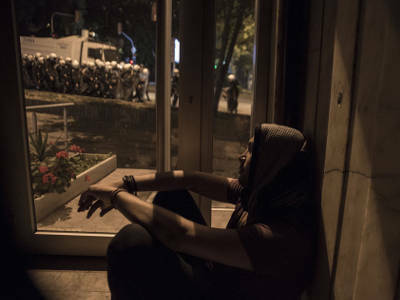 A scene from the meeting in between Vice PM Bülent Arınç and Taksim Platformu, Ankara, Turkey. 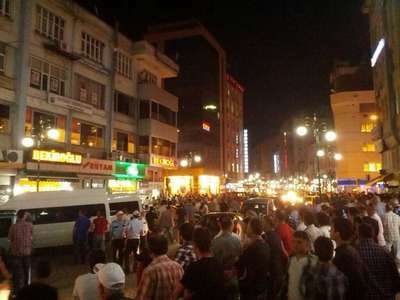 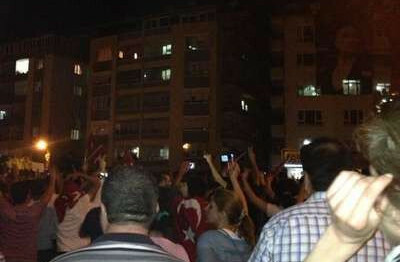 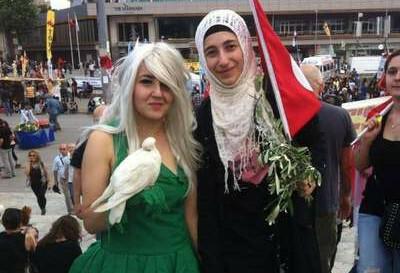 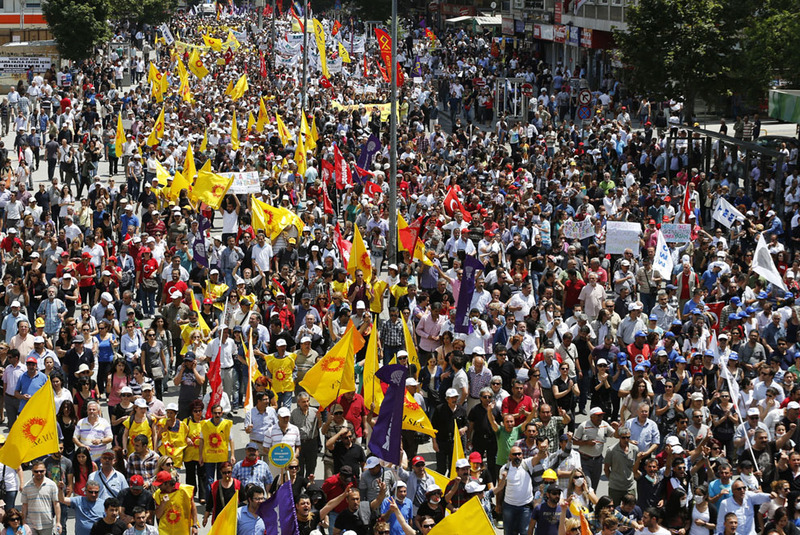 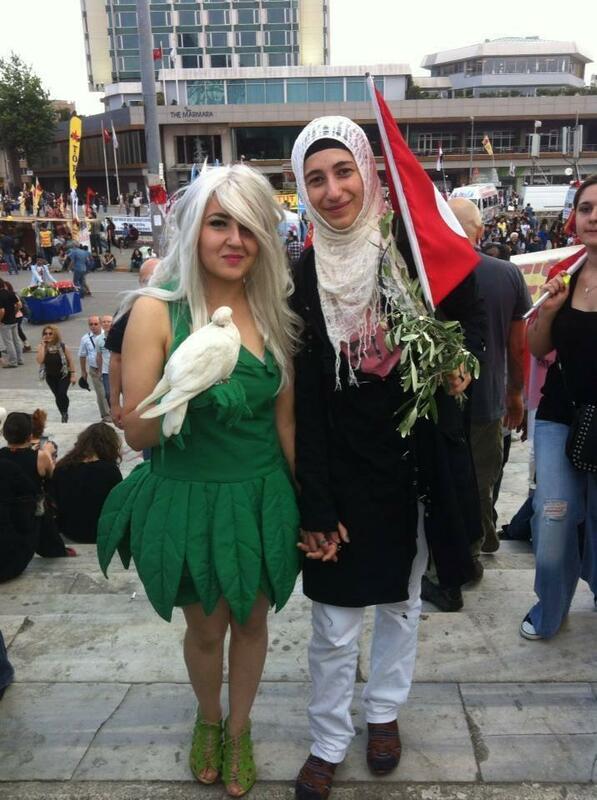 Protests was peaceful in İzmir, Turkey. 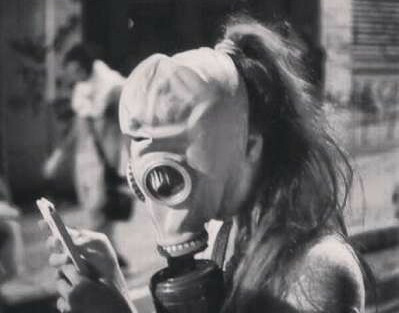 Facebook page of the music group Massive Attack.